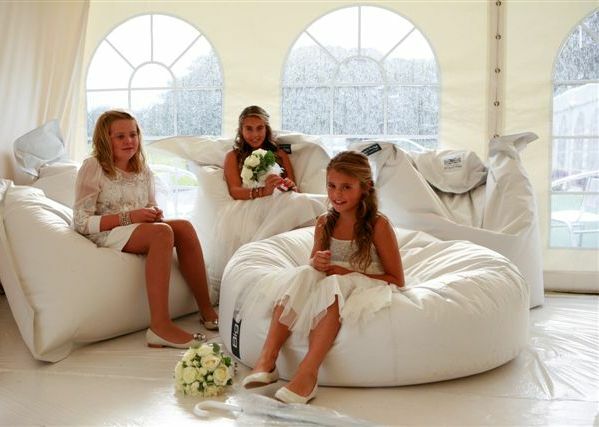 At Festiflags we now stock a range of beautiful white wedding bean bags for you to hire. These bean bags are a fun and different way of providing seating for your guests - whether its in a cosy corner of a marquee or outside on the grass in the sunshine to watch the dancing. 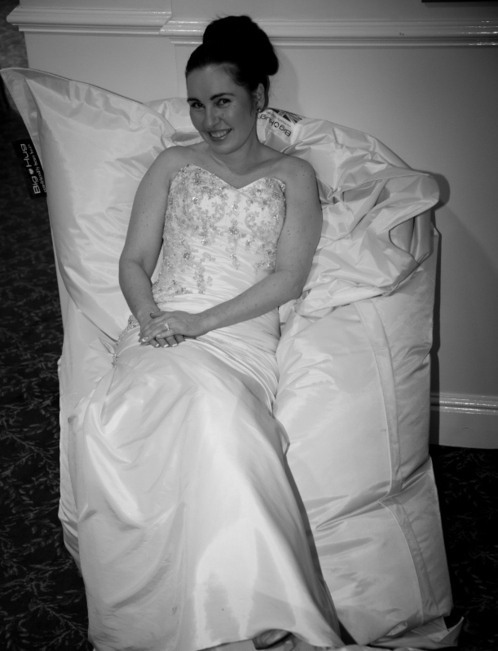 Our white bean bags are very comfortable to sit on as they mould round your body - perfect for relaxing with a drink! They provide an easy way to customise your venue as they can be quickly moved and arranged in different formations either inside or out. They are also very practical, as they are sturdy, water resistant, and can be cleaned. They provide lovely photo opportunites for gorgeous dresses, fun seats for little ones to tumble over, and a welcome relief for older bones! We can arrange delivery and collection and our hire rates start from just £20 per bean bag. Please go to our Hire Prices page for more information.